We’d love your help. 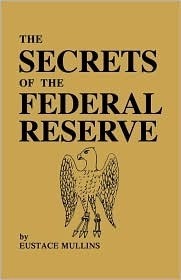 Let us know what’s wrong with this preview of The Secrets Of The Federal Reserve by Eustace Clarence Mullins. To ask other readers questions about The Secrets Of The Federal Reserve, please sign up. Books that tell you what REALLY is going on! This is a great reference book but I honestly had to force myself to finish reading it. Mr. Mullins is understandably upset that his original research for this book has been plagiarized without credit from various other authors on the subject. He was the man commissioned by Ezra Pound to investigate the money system of the US. Mr. Pound was unable to do this himself as he was being held as a political prisoner, presumably on the grounds of mental infirmity. What Mr. Mullins fails to appreciate i This is a great reference book but I honestly had to force myself to finish reading it. Mr. Mullins is understandably upset that his original research for this book has been plagiarized without credit from various other authors on the subject. He was the man commissioned by Ezra Pound to investigate the money system of the US. Mr. Pound was unable to do this himself as he was being held as a political prisoner, presumably on the grounds of mental infirmity. What Mr. Mullins fails to appreciate is that while he is a thorough and dedicated researcher he hasn't a clue how to present his material in a compelling manner. This subject is of paramount importance to the concerned citizenry of this planet. Anyone that truly cares about it should hope that it is broadcast by the most effective producers. This book is exceptionally well cited and documented. It covers the tale of our current global financial situation from its inception at "Mayer Amschel Bauer's Goldsmith Shop in Frankfurt in 1773. Bauer, who adopted the name "Rothschild" or Red Shield from the red shield which he hung over his door to advertise his business." If even a small but significant fraction of society were to read this book it would only take an election cycle or two for real changes to take place. I read this book with This book is exceptionally well cited and documented. It covers the tale of our current global financial situation from its inception at "Mayer Amschel Bauer's Goldsmith Shop in Frankfurt in 1773. Bauer, who adopted the name "Rothschild" or Red Shield from the red shield which he hung over his door to advertise his business." If even a small but significant fraction of society were to read this book it would only take an election cycle or two for real changes to take place. I read this book with a highlighter in hand. I could have highlighted something of importance on every page. The directors of the Federal Reserve System have all along been able to get away with every scenario they chose to enact because the people were not able to understand what was happening. They were led to believe that mysterious forces caused great and bad things to happen. That's totally hogwash. The only reason they were able to get away with this for so long, there was no internet. We now have the power to learn together and share our findings so that once esoteric facts become common knowledge. There is a whole lot of truth in the expression knowledge is power. Reading this is a relatively small time to invest in something so important at this moment in our history. We can stop this cycle of feast and famine, we just need to create a political will in the people to get it done. Turning over the Government’s credit to private bankers in 1913 gave them unlimited opportunities to create money. The Federal Reserve System could also destroy money in large quantities through open market operations. Eccles said, at the Silver Hearings of 1939: "When you sell bonds on the open market, you extinguish reserves." This is a very detailed account of the Federal Reserve’s birth and how our money really works here in the United States. I am glad to see that there finally some calls for the Fed to be audited because it seems to me that the Fed is a criminal enterprise. Ominously enlightening. Are our nation's finances truly at the command of a few wicked, foreign bankers and trust interests? The evidence stating so is compelling. A must read. What a book! You really see how deep the rabbit hole is and how long ago the whole scheme started. Slavery is just more subtle these days, but it is still slavery. I read this in the 90's and it changed my view of how money worked....for the 1%. Eustace Mullins was an American political writer, author, biographer. As of 2005, He was a member of the Southeast Bureau editorial staff of far-right, even some would say Fascist, Willis Carto's American Free Press. He was also a contributing editor to the Barnes Review. Eustace Mullins was educated at Washington and Lee University, New York University, the University of North Dakota and the Insti Eustace Mullins was an American political writer, author, biographer. As of 2005, He was a member of the Southeast Bureau editorial staff of far-right, even some would say Fascist, Willis Carto's American Free Press. He was also a contributing editor to the Barnes Review. Mullins was a student of the poet and political activist Ezra Pound. He found common ground with Pound in their extreme anti-Semitism. He states that he frequently visited Pound during his period of incarceration in St. Elizabeth's Hospital for the Mentally Ill in Washington, D.C. between 1946 and 1959. Mullins claimed that Pound was, in fact, being held as a political prisoner on the behest of President Franklin D. Roosevelt. 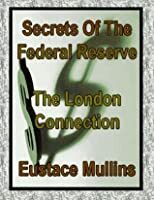 Mullins' most notable work, Secrets of the Federal Reserve, was commissioned by Pound during this period, and written in consultation with George Stimpson, founder of the National Press Club.